As you likely know from the Gaming Reinvented Youtube channel, I’ve been spending an awful lot of time playing Mario & Luigi Paper Jam. Whether it’s finding and posting videos of new glitches, trying to get Mario and co to max stats, showing off the various mini games or boss battles or just trying out random things, a significant portion of my free time was spent on this game. In fact, 190.22 hours to be precise, which is pretty insane for a normally 35 hour game. But now, after a total of 53 glitch related videos and countless more showing off the game’s mechanics (like getting to level 100, plowing through the Battle Ring, etc), I’m calling it quits on this game. Why? Because to be honest, it’s not all that interesting for me to play any more. Oh sure, there’s the odd challenge to attempt, like the expert challenges that lead to the Duplex Crown, or trying to get through the last few hard mode missions. But they’re just not all that fun, and honestly come across as obnoxiously poor design and tedious busywork. We can skip battles at will. We can finish the whole game with no Bros Attacks or Trio Attacks. 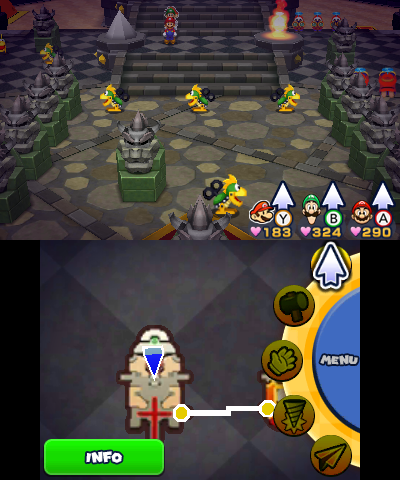 Paper Mario and Luigi can both go off wandering on their own for as long as they please. Heck, thanks to two extremely broken bugs, we can literally turn off collision detection at will. That’s broken. Above: Good QA testing, this really isn’t. Yet what’s the point? We don’t skip anything else by doing this, there are already two major bugs that completely turn off any collision detection at all and make walking through walls utterly trivial. The speedrunners don’t even visit most of these rooms, since the game is so bad with event flags that skipping straight to the third to last area in the game is a viable strategy. No one needs to find any more, they’re completely useless at this point. What’s more, the time spent looking for these bugs is time can be spent on more meaningful things, like this website. 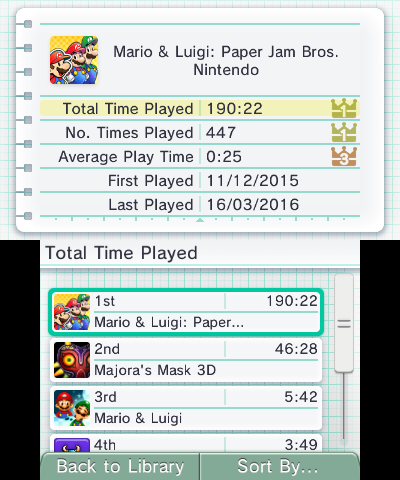 So yeah, I’m done with Mario & Luigi Paper Jam now. Time to get back to more important things. Congrats on putting so much time and effort into it, made for some entertaining videos.